​The chemical specificity combined with both the ease of on-line installation and real-time analysis rates have made Raman an attractive choice for petrochemical process monitoring and control. 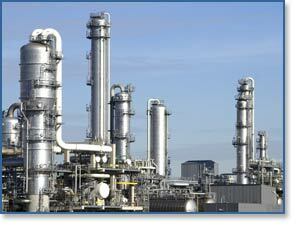 Using Kaiser's AirHead™ or Pilot™ probe lines, Raman analysis of typical petrochemical processes can be made in situ. For the above general processes, Raman can be used to monitor chemical purity and distillation column operation (both pre- and during steady state (equilibrium) operation). Raman is capable of measuring solid, liquid, gas, vapor, or slurry materials.